Using a process similar to ones employed by professional sporting teams as well as organizers of spring break bikini competitions, the highest bidder will determine which brands will receive the official designation of ‘As Seen At The White House’. Also under consideration is the use of the likenesses of the White House family, staff and Cabinet members to further enhance the brand relationship. “It’s all perfectly legal or will be soon,” the spokesperson said. 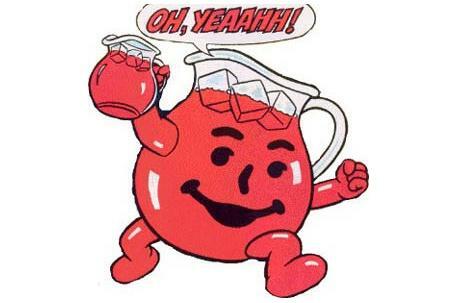 “The administration expects a tremendous response from companies, such as Kraft Foods (makers of Kool Aid), looking for an opportunity to be represented at the ‘People’s House’. The spokesperson was asked if President Trump knew of the association between the use of Kool Aid and the 1978 mass suicide and killings at Jonestown, Guyana. In that instance Jim Jones, a delusional cult leader of the ‘People’s Temple,’ coerced some 900 followers to drink a lethal mix of Kool Aid and cyanide when he felt the media and members of the United States government were out to persecute him. This entry was posted in Business, Politics, Satire and tagged Jonestown, Kool Aid, President Trump, White House by gprowler. Bookmark the permalink.